Chung Un-shik(sixth from left), president of Travel & Tourism Club and former president of Korea Tourism Association poses for camera with members of the club in Taipei..
Chung Un-shik, president of T&T Club, presented a plaque of appreciation on April 11 to outgoing Seoul office director of Taiwan Visitors Association Wang Jen-Te in recognition of his outstanding performance in promoting friendship between travel trade businessmen of Korea and Taiwan. Chung until recently served as president of Korea Tourism Association(KTA), an umbrella organization of Korean travel trade businesses. Energetic yet aggressive initiate made by Mr. Wang was behind the phenomenal growth of the two-way tourists traffic between Korea and Taiwan, Chung said . “We miss you very much and you will remain in our hearts as a good friend in many years to come even if you leave here soon after successful tour of duty here,” said Chung in his farewell remark during the monthly meeting of T&T Club, a grouping of professional travel and trade businessmen as well as journalists, professors and other professionals in diverse fields. The presentation session was held on April 11 at President Hotel in downtown Seoul with more than 30 members of the club attending. They include Cho Suk-joo, vice president of T&T Club, Hong Ki-jung, vice president of Modetour and Huh Yong-sun, renowned travel writer and photographer, who is also serving as secretary-general of the T&T Club, to name just a few. The regular club monthly meeting reviewed the results of the recent familiarization tour of Taiwan hosted and sponsored by the Taiwan Visitors Association. A group of South Korean travel professionals made a four-day inspection tour of Taiwan at the invitation of Ms Janice Seh-Jen Lai, Director General, Tourism Bureau, Ministry of Tourism and Communications of the Republic of China. 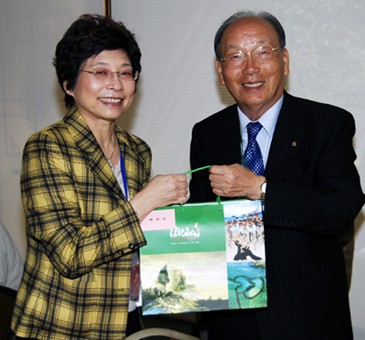 While in Taiwan, the group led by Chung Un-shik, president of T&T Club and former president of Korea Tourism Association met with Ms.Janice Seh-Jen Lai, director general of Tourism Bureau, Ministry of Tourism and Communications of Taiwan to discuss ways of promoting two-way tourist traffic between Korea and Taiwan during the '2008 Tour Taiwan Years' during which a wide range of exiting events and activities in store for international visitors. The most of members of the Travel and Tourism Club or known in short as T&T Club are in the profession of travel trade and news media. Welcoming the high-profile Korean visitors to Taipei, Ms.Janice Seh-Jen Lai said that during the next two years, officially named the "Tour Taiwan Years," there will be a wide range of exiting events and activities international visitors who come to Taiwan can take part in to learn about local culture and customs, nature and scenery, sports and leisure, and much more. 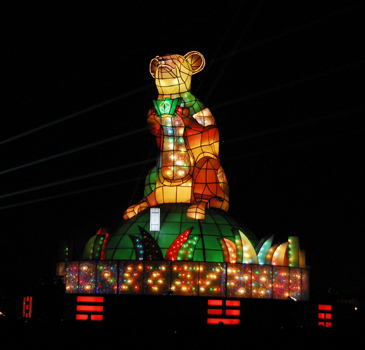 Among major annual festivals in store are Taiwan Lantern Festival, Dajia Mazu International Festival, Yangmingshan Flower FestivalHakka Tung Blossom Festival, Dragon Boat Festival, Taiwan Food Festival and Blue Fin Tuna Cultural Festival. "Must-Sees" on a Trip to Taiwan include Taipei 101, National Palace Museum, Night Market, Northeast Coast, and National Center for Traditional Arts in Yilan. In the central part of Taiwan such places as Jingming 1st Street in Taichung, Sun Moon Lake, old town of Lungang, and Donhai Night Market are particularly popular among foreign tourists. Among other tourism attractions also include Mountain resort of Alishan, historic sites in Tainan, Lover River in Kaohsiung and Taroko Gorge, (and the) scenic East Coast. 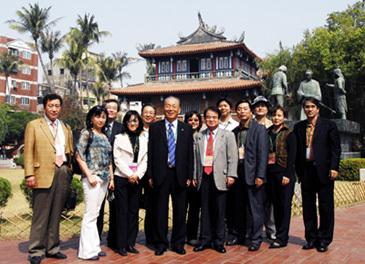 A large percentage of visitors to Taiwan come to make business or to attend conferences and trade shows. Staying in Taiwan for a few days and leaving without having seen much else than hotel, restaurant, and meeting venues would be doing injustice to the many tourist attractions around the island. In order to make it easier for businesspeople who attend one of the 11 major annual international trade shows in Taipei to tour Taiwan after or during the shows, the Taipei External Travel Development Council now promotes a series of tours of in and around Taipei. These tours under the name 2008 Taiwan Biz Tour present a great opportunity for trade show participants to get to know the vibrant city of Taipei. Ms.Janice Seh-Jen Lai has become the first ever women chief of Tourism Bureau, Ministry of Transportation and Communications in 2007. 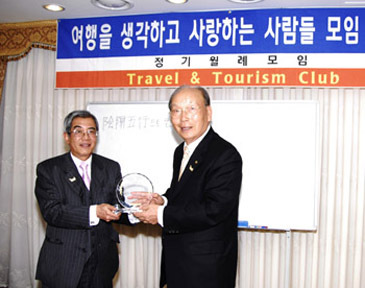 Chung Un-shik, president of T&T Club, presented a plaque of appreciation on April 11 to outgoing Seoul office director of Taiwan Visitors Association Wang Jen-Te..
Taiwan has launched the 2008 Tour Taiwan Year, hoping to boost the number of inbound visitors to 4 million in 2008 and to 4.25 million in 2009. She expressed confidence that Taiwan can lure more visitors in the next two years. The Tourism Bureau plans to promote Taiwan's festivals, food, hot spring, culture and agriculture. It will promote specialized tours such as mountain hiking tour, honeymoon tour, retirees' tour, medical tour and sports tour. It will also offer incentives to foreign airlines which operate charter flights to Taiwan, and to foreign cruise companies which operate cruises to Taiwan, she said. The incentives are 9,000 dollars for each charter flight and a welcome ceremony, plus discount in harbor and passenger service fees for cruises. The tourism industry has been hurt by Taipei's five-decade ban on direct air and sea links with China - which is set to become the world's largest source of outbound tourists. Taiwan received 3.7 million foreign visitors in 2007, but after deducting foreign business visitors, students and workers, only 1.64 million tourists entered the country, up 9 percent year-on-year. Taiwan is one of the few countries where more people go abroad than tourist arrivals. In 2007, 8.96 million Taiwanese went abroad for sightseeing and other purposes, compared to 3.72 million foreigners coming in. Taiwan hopes to attract 4,350,000 foreign tourists by next year. Tourist arrivals in 2007 totaled 2,980,000 of which Koreans accounted for 230,000. For the tourism promotion, Taiwan set aside 29 billion won (1 billion Taiwan Dollars for the year of 2008. Taiwan is ready to help support Korean outbound tour operators with incentives when they successfully organize a tour group of 126 persons or more, she said. Special subsidies will also be given to Korean outbound tour operators who organize student excursion tour groups to Taiwan during the vacation time.